What size bed do Flares create? Your raised panel bed system will be able to be installed at various heights between 30-36" off the floor. 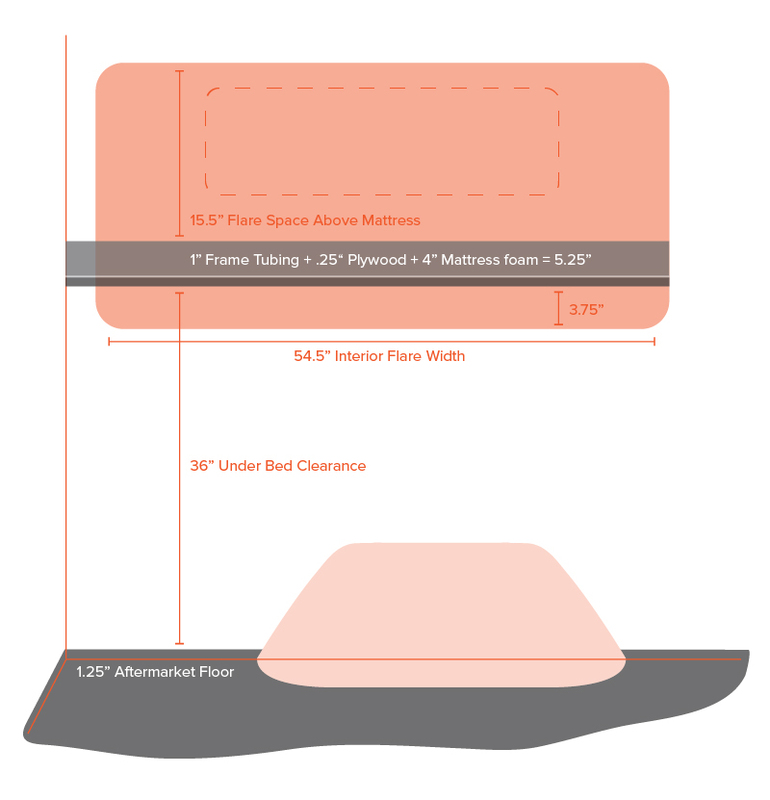 The bed itself is variable in width, allowing you to choose how much open floor space you want to gain. Generally, 48" long bed rails along the wall (resulting in a 52" wide mattress) are ideal for a 144" Wheelbase Sprinter conversion. It will allow for a row of seat belt seating in the factory Mercedes Benz location and a compact 36" wide kitchen galley behind the driver's seat. Check out floor plan A. Going solo? Remove one of the two panels for one person sleeping and gain even more space!